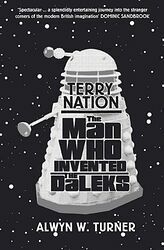 A fascinating insight into the man best known for his creation of the Daleks but did so much more. Blake's 7, Survivors, The Saint, The Avengers. A clever, hard working man who had such a fascinating imagination and enriched British TV in the 60's, 70's & 80's.